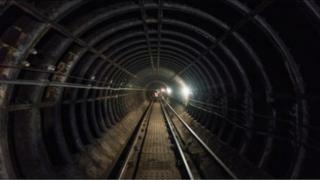 The Glasgow Subway is to close for about four weeks in the summer while modernisation work is carried out. Strathclyde Partnership for Transport (SPT) said all services would be suspended from 2 July. They are due to resume on 1 August. A replacement bus service will be provided for subway passengers during the closure. The modernisation work involves replacing a 40-year-old section known as "ramps and turnouts", which permits trains to access the tunnels from the surface depot at Broomloan and cross over between the inner and outer circles. SPT chairman Jonathan Findlay said: "To date, SPT has achieved all of the modernisation works without any disruption to passenger service which is a considerable achievement. "We apologise for any inconvenience to all our passengers but our full replacement bus service will mean that they can still get to where they want to go." He added: "All our passengers are encouraged to turn up at their designated stop, allow a little longer for the journey, and leave the rest to us." All the information on the subway suspension and the replacement bus service is available on the SPT website. The Glasgow subway is the third oldest underground system in the world and is 120 years old this year.